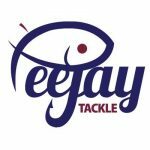 My latest review is something a little different, I always get quite excited when a firm contacts me to review their products and over the years I’ve tried and tested a very wide range of tackle and bait plus everything from socks to water bottles! This time around, the e-mail came from Lucky Tackle Box, a name I’m not familiar with, the message went on to say they are the number one rated subscription box for fisherman and that they have a strong social media presence and would be willing to promote my blog to their followers. So with my interest well and truly peaked but as always a little wary of scam merchants, my next step was my old friend Google.Well a quick search revealed that they were indeed a legit company but being based in the USA, this would mean bass fishing and probably lure fishing for bass, so not really a subject I knew anything about and conversely I couldn’t really see too many bass anglers getting excited about me catching a few pounds of tiny roach on pinkies on a pole at Dillington! 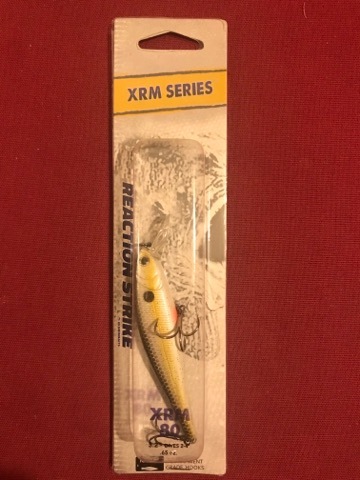 So a non-starter then? 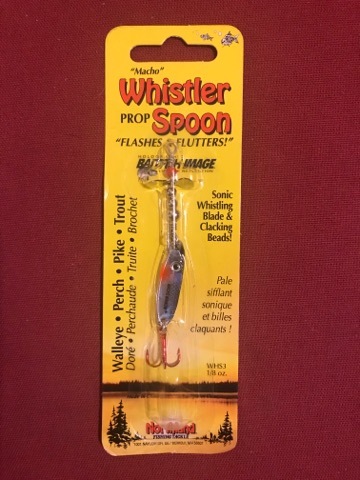 To be honest, I was still quite intrigued and given that the States has somewhere in the region of 46 million anglers compared to a measly 1-3 million in the UK, it wouldn’t do any harm to investigate further. I decided to go for the Walleye box as I thought it would be suitable for pike fishing in the UK, the box arrived just after Xmas and it was in perfect condition which shows their packaging is spot on. 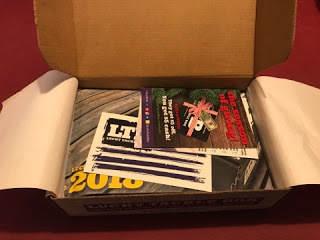 I opened the box and it was very well put together, there was a LTB sticker, a little calendar plus a few promotional bits before I got to the lures themselves, included in my box were three plug type lures, two little spoons, a packet of Mustad hooks for soft plastic baits and two packets of soft baits. 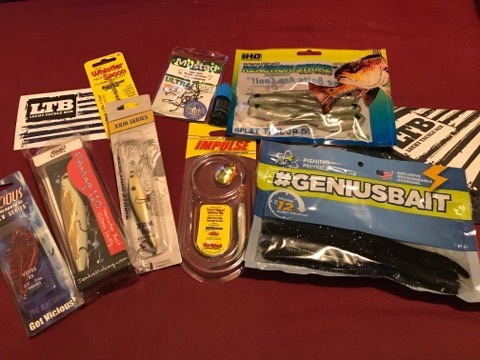 Also included was a little sample bottle of Clenzoil (a one-step cleaner, lubricant and rust preventative for reels, tools, engines and other equipment). It’s a real eye opener seeing some of the kit they use on the other side of the pond but what I found interesting was that some of the soft baits are stored in a liquid additive and it seems to be something they do a lot of in the States, according to the packaging, one of the spoons has a little jelly lure that is infused with an attractant ‘proven by independent laboratories to be 143% more effective than other leading brands’ so the lure has scent, colour and action. 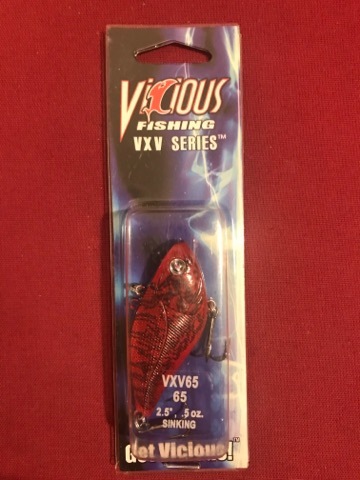 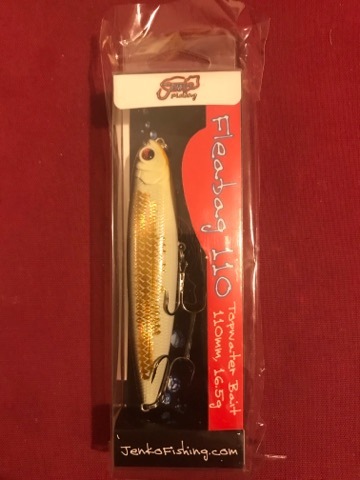 It’s not something I hear much about here, I know we do flavour and colour deadbaits but could we add another level attraction to our lures, something to think about perhaps? 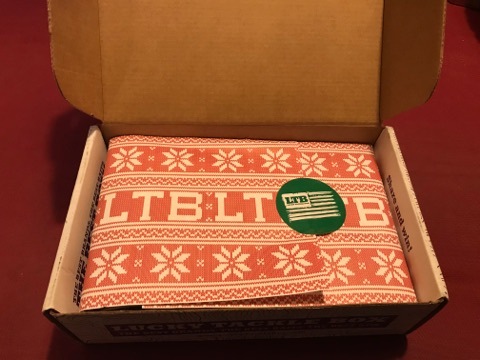 Subscriptions are available for one, three, six and twelve months and looking at the websites online shop, you can also purchase limited edition boxes like the Holiday Gift Box or the Breast Cancer Awareness Box along with LTB clothing, gift cards, rods and lures. 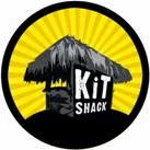 I do think subscription boxes are a great idea and work particularly well with something like lures, there have been similar things based in the UK but they haven’t really worked which I think is down to the vast array of terminal tackle that coarse and match anglers use so with any subscription service there’s a good chance a lot of the stuff you’d receive would never be used. 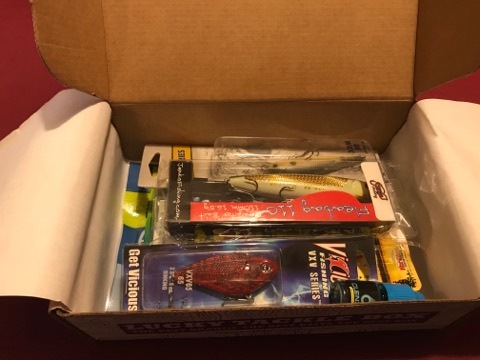 Things like hooks, line and floats are a very personal choice with people having their favourite brands and they can be fiercely loyal to them to the point of not using anything by another firm, but for things like lures and flies, I think these boxes work really well. 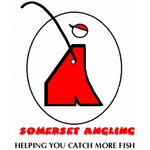 There’s loads of other stuff on the website from reviews and blogs to instructional videos and there’s even a loyalty points rewards scheme and a tournament that anglers can get involved in. 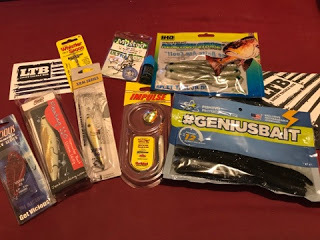 I have to say I’ve really enjoyed doing this review because, even though it’s not particularly relevant to the fishing I do or indeed fishing in the UK as a whole, it’s given me a flavour of how massive fishing, and bass fishing in particular, is in the States. I’d love to have a go at it! 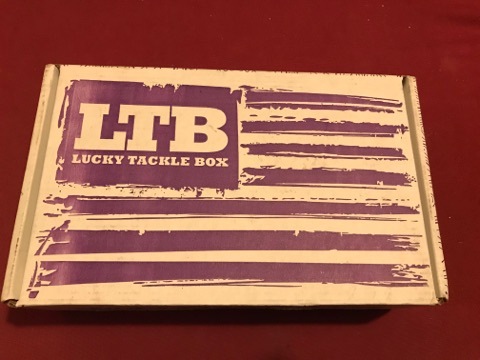 *Lucky Tackle Box sent me this product for free in exchange for an honest review. All opinions contained in this post are my own.